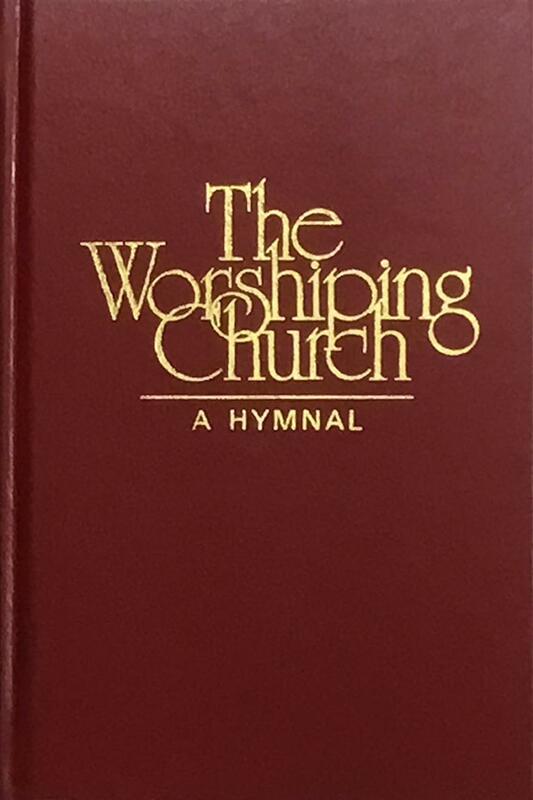 The hymnal entitled THE WORSHIPING CHURCH is the product of six years of work by a committee of well-known church musicians and educators under the leadership of Dr.
Donald P. Hustad. The book contains 700 musical selections, 67 Scripture passages, 35 worship acts (e.g. calls to worship, litanies) for congregational participation, as well as complete indexes. THE WORSHIPING CHURCH sets a new standard of beauty, readability and durability. New engravings provide larger and easier to read type than ever before. Graphics include beautiful "divider pages" that help define the types of hymns in each section. Some texts appear as poems which may be either read or sung in worship. SPIRAL ACCOMPANIMENT EDITION - A spiral, flat opening edition of THE WORSHIPING CHURCH is offered for organists, pianists and choir directors in a durable plastic binding. The spiral edition may not be specially imprinted with the church name on the outside cover. CONCORDANCE - This book is a great help for any user, enabling one to find a hymn from a single, important word. Paper back only. HANDBELL ACCOMPANIMENT FOR THE WORSHIPING CHURCH - (for three octave of bells) Contains 47 settings of hymn tunes. These settings appear under the tune name and can be used with over 70 hymns in the hymnal. BRASS ACCOMPANIMENT FOR THE WORSHIPING CHURCH - (for two trumpets, and two trombones) Contains 58 settings of hymn tunes. These settings appear under the tune names and can be used with over 100 hymns in the hymnal. KEYBOARD ACCOMPANIMENT AND CONDUCTOR'S GUIDE FOR THE WORSHIPING CHURCH - (for organ, piano and synthesizer keyboard instruments) This volume includes introductions (intonations), interludes, hymnal harmonizations, and re-harmonizations for use with the hymns. It also supplies an index of all the materials in the three accompaniment books and provides directions and cues in compositions in which optional brass, and handbells may be added to keyboards in a full arrangement. WORSHIP LEADER'S EDITION - A most valuable resource for pastors and ministers of music, this 9" x 9" hard-bound edition contains the complete hymnal PLUS a brief analysis of each hymn with interesting details concerning the writing of words and music, a poetic/scriptural/theological analysis of each hymn, and performance suggestions. (Red cloth binding). Worshiping Church, The - Spiral Accomp. Ed.